We proudly manufacture Summit Extraction Systems in our home state of Colorado. Summit Extraction was founded on the idea we could engineer a closed-loop extraction system with higher standards of safety, ergonomics, and quality. And that’s exactly what we did. 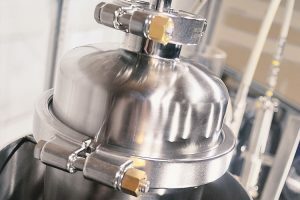 The intuitive, all-in-one Summit T1 Extraction System is an engineering feat that saves you money and time by avoiding excess machinery and laborious extraction processes. The Summit T2 Expansion triples that original throughput, increasing production and output. Our unique system helps both new and established botanical companies achieve a safe and convenient extraction, every time. Beyond the integrity of the system itself, customer service is of utmost importance to us. We ensure you have the support you need before, during and after your purchase. We like to think of ourselves as an extension of your extraction operation. We’re here if you need us. As we look to the future of the booming botanical industry, Summit Extraction will continue pushing boundaries. That’s because we want what you want: to bring healthy, high-quality concentrates to the masses. We proudly manufacture the Summit T1 & T2 Extraction Systems in our home state of Colorado. For additional information, be sure to sign up for our Hydrocarbon Operator Training Course. Whether you are in the extraction industry or simply want to learn how it is done safely, contact us for course schedules and offerings.